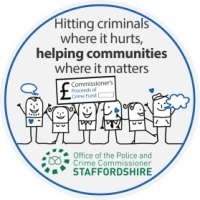 As part of his commitment to local communities, the Police and Crime Commissioner for Staffordshire, Matthew Ellis has made available even more money to improve community safety, reduce crime and disorder and to increase public confidence. 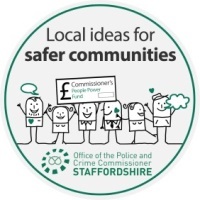 Applications to the Proceeds of Crime Fund or the People Power Fund should meet at least one of the local community safety priorities and also support one or more of the four priority areas set out in the Commissioner’s Safer, Fairer, United Communities Strategy. People's Panel Fund 1st round opens 1 March and closes 14 April. 2nd round opens 1 August and closes 14 September. Applications of £100 - £3000 can be made into the fund. Details of key contacts for further information are located on the Police and Crime Commissioner’s website or by contacting Sharon Nahal within the Office of the Police and Crime Commissioner on (01785) 232246.